There's something so totally cozy and charming about this piece. Not too prim and proper but not too relaxed for a formal space, this sectional sofa is just right. 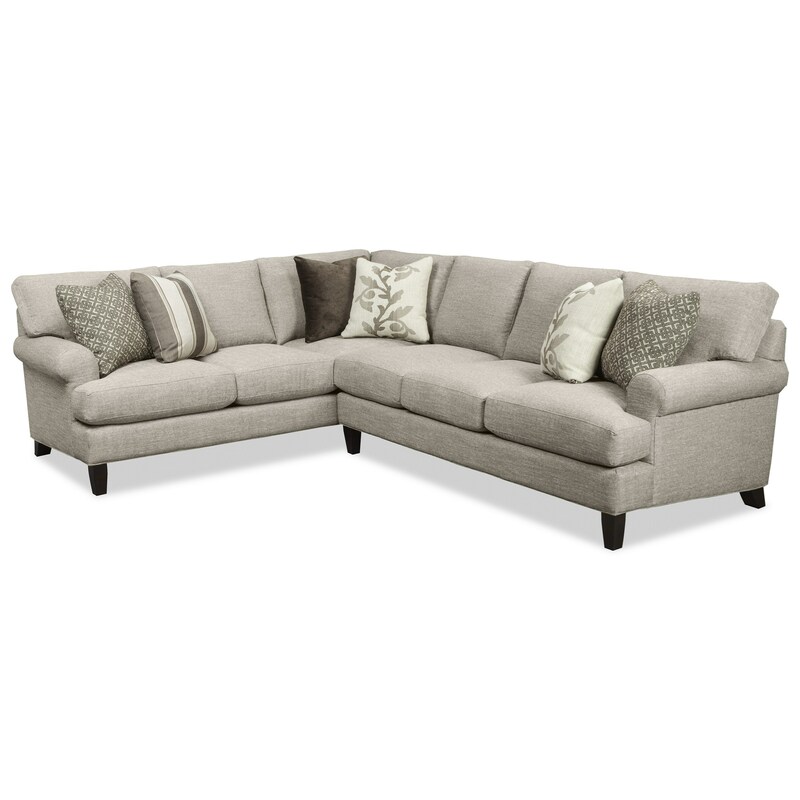 This spacious configuration can seat five comfortably, but smaller sectionals are easily constructed from our selection of pieces to fit all rooms. This design is also available with nailhead studs around the baserail, see store for available options. The 767350-767450-767550-767650 Two Piece Sectional Sofa with LAF Corner Sofa by Craftmaster from Boulevard Home Furnishings. We proudly serve the St. George, Cedar City, Hurricane, Utah, Mesquite, Nevada area. Product availability may vary. Contact us for the most current availability on this product. 767556 LAF Return Sofa (No Nails) 1 92" 40" 38"
767551 RAF Sofa (No Nails) 1 77" 40" 38"
Tailoring Precision tailored by highly skilled craftspeople, creating a sofa you’ll be proud to show off to your friends and family. Padding & Ergonomics The ComfortSoft DPT Cushion consists of a 2.0 High density Preserve High Resiliency foam, wrapped in a thick fiber batting and encased in a sewn ticking. ComfortSoft is a high-resilience, bio-based foam that provides long lasting performance and durability. Another festive occasion at your house! You're always hosting book club, kid sleepovers, football games, and girl's night at your place because your home looks as great as it feels. Seats are welcoming and plush, sofas are roomy, and the style is divine. Create a fun and friendly haven in your living room with pieces from this collection, including a multi-option sectional sofa. Customize the look even further with multiple choices of nailhead and wood finish available for special order. See store for available options. The 767350-767450-767550-767650 collection is a great option if you are looking for Transitional furniture in the St. George, Cedar City, Hurricane, Utah, Mesquite, Nevada area.